Every year the District of Columbia follows a seasonal cycle. When the cold of late November trickles in the city becomes somewhat of a deserted and abandoned city. There are few signs of life from in the outdoors. This is what I call Capitol Hibernation. It can only be cured by the first true signs of Spring. Luckily this healing process is now in effect. 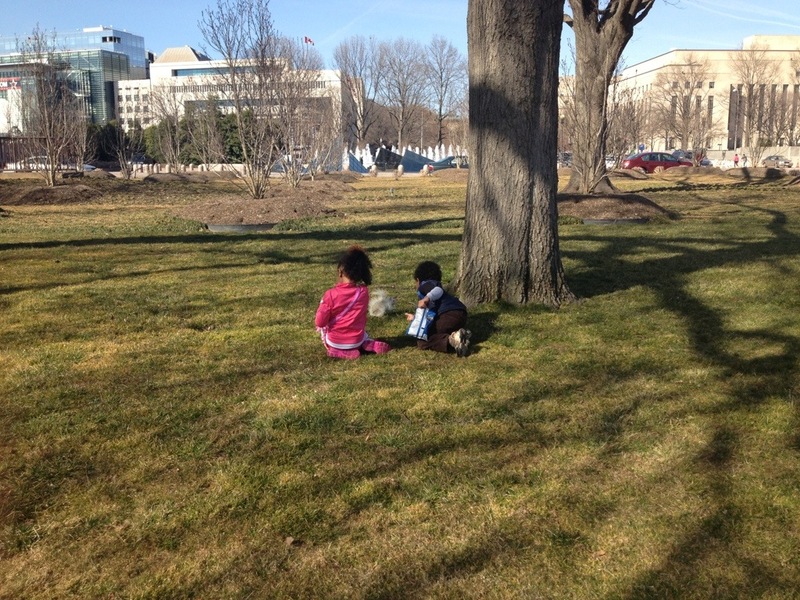 D.C. saw one of the best weekends of late in terms of the weather. And it definitely showed in the vox pop outpouring to the outdoors. 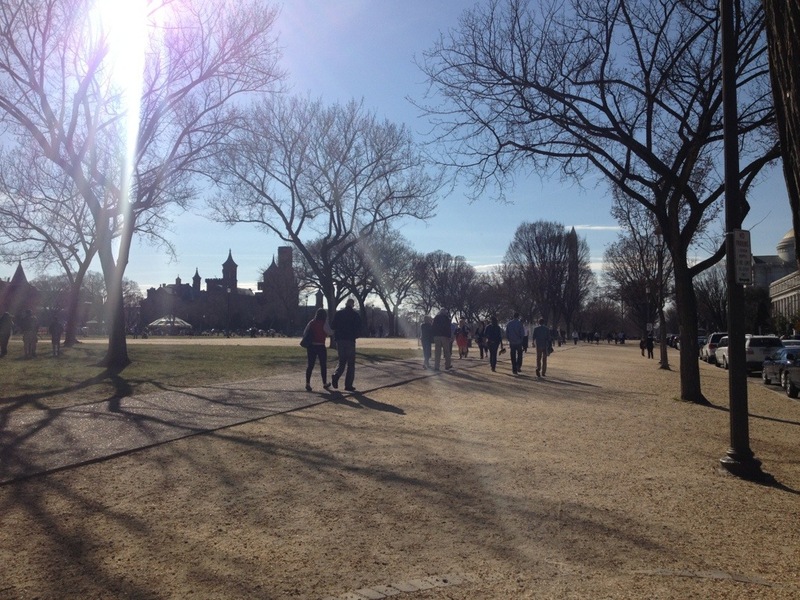 I decided to go for a run to The National Mall. When I finished my four mile blissful workout in the beautiful sun I had to capture the essence of this spring awakening. 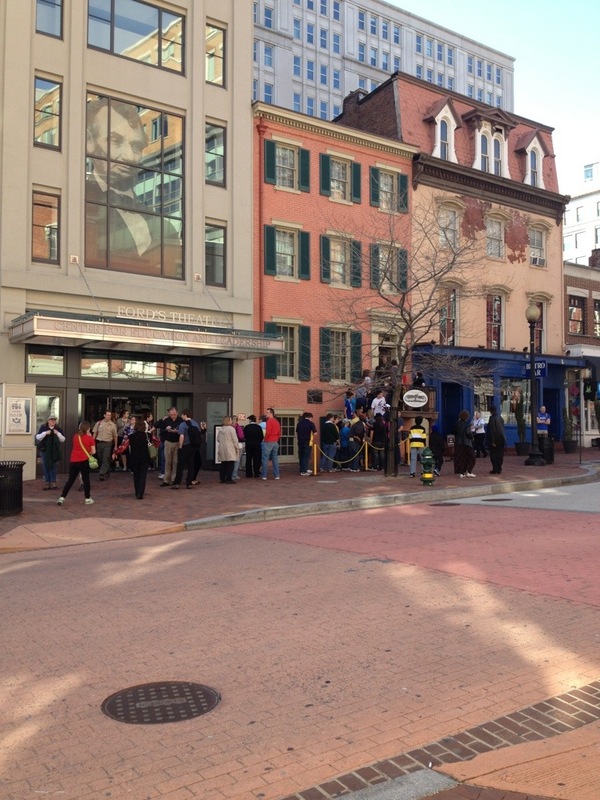 (Above) Crowd in line outside the Ford Theater and the place where President Lincoln passed away. (Below) Courtesy of my iPhone camera: Nice sunny glare looking out toward the Smithsonian “castle”. Here children are feeding an albino squirrel. Pretty random, but pretty cute.